Honda Motorcycle & Scooter India Pvt. 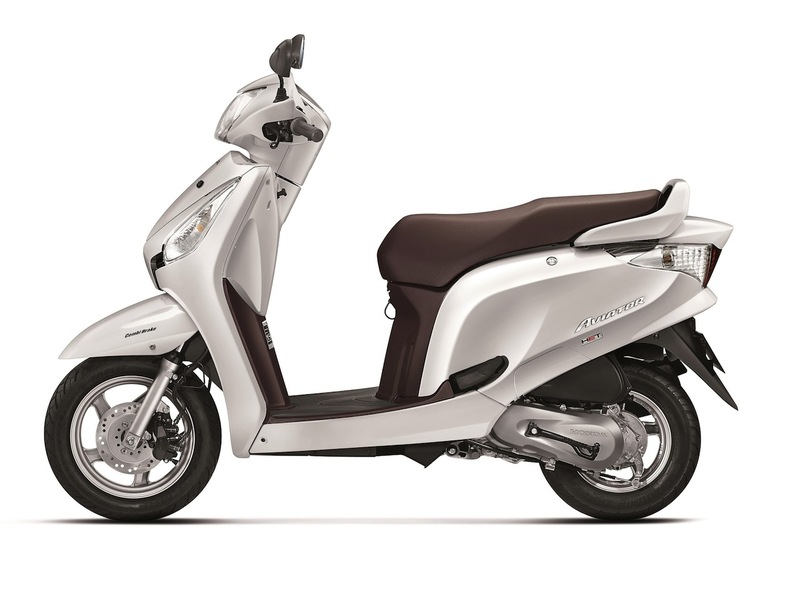 Ltd. (HMSI) have launched the 2015 editions of the Aviator and Activa i automatic scooters. The Deluxe variant of the Aviator gets a front disc brake. Cosmetic changes on the scooter include a new "rich brown" color that flows from the seat cover all the way to the inner body cover, and a new Silver Strand Metallic shade. The 2015 Aviator will go on sale by the end of this month, and will be priced at INR 50,863 for the standard variant and INR 56,209 for the Deluxe variant, ex-Showroom, New Delhi. It does not see any mechanical changes, and continues to be powered by the 109 cc single-cylinder engine capable of 8 bhp at 7,000 rpm and 8.77 Nm of torque at 5,500 rpm. The Deluxe variant gets a 190 mm disc brake at the front. There are no mechanical changes to any of these scooters. The Activa i will now be available in two variants - Standard and Deluxe. The Standard variant gets new body graphics and a new Black color, while the Deluxe targets female customers with its "trendy floral graphics". The Deluxe will come in two colors - Pearl Amazing White and Orchid Purple Metallic. There are no mechanical changes to the Activa i as well, as it continues with the 109 cc single-cylinder engine with 8 bhp and 8.74 Nm of torque on tap. 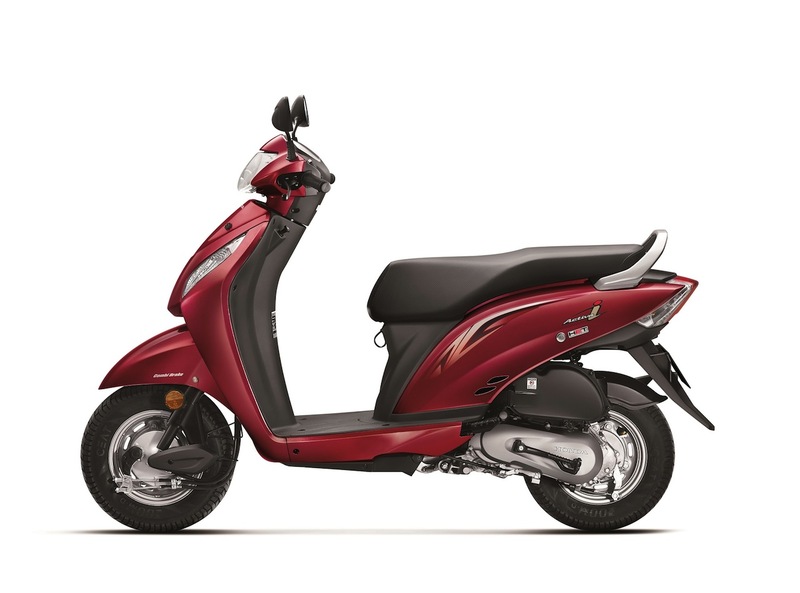 The 2015 Activa i is priced at INR 46,213 for the standard and INR 46,703 for the Deluxe variant, ex-Showroom, New Delhi.